The sleek looking headphones are aimed at professional audiophiles, travelling DJs and those who don't fancy lugging around a big pair of over-ear 'cans. The NS600 Crush features Dual Dynamic technology that packs in two drivers per earphone and creates a tweeter/woofer set up with a 20 Hz - 20kHz range. The strong bass is boosted by noise-isolating silicon sleeves fitted to the earphones. The 1.2m cord is covered with a Kevlar braiding and features a mic that can be used to make and recieve phone calls - if you've got an Apple device that is. 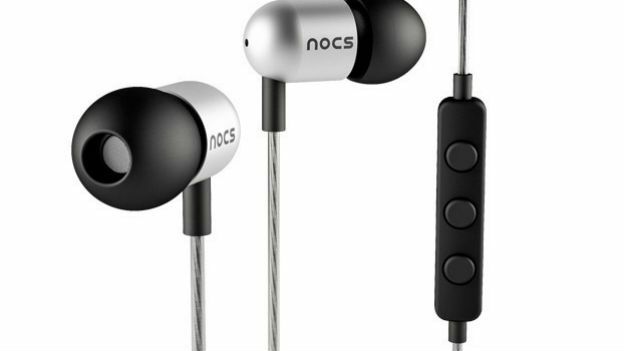 Throw in a one year replacement warranty, plus the fact they'll be available online (www.Nocs.se) by the end of the week and you've got a smart pair of earphones that are well worth checking out. The NS600 Crush is out in October for Euro 149.95 with UK pricing to follow.